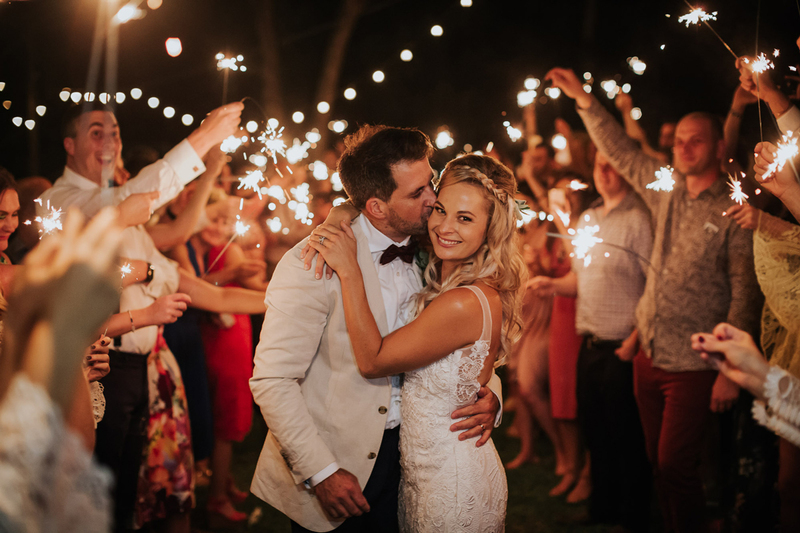 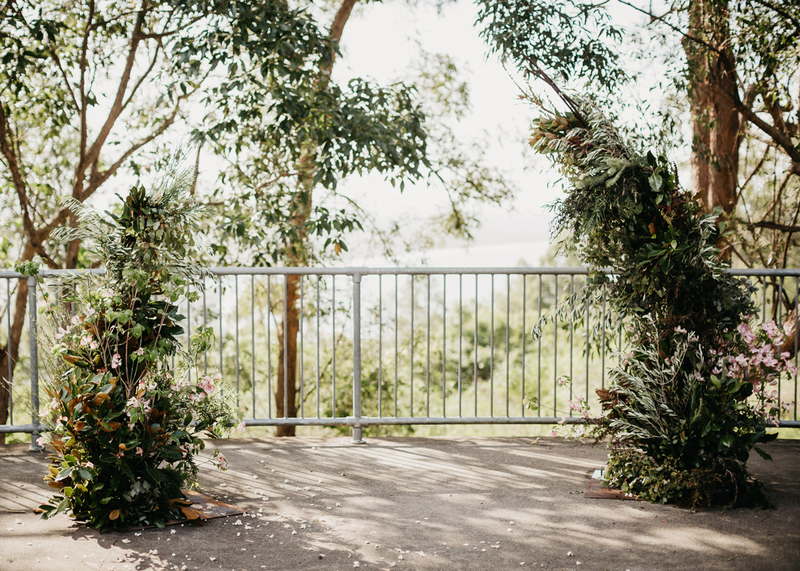 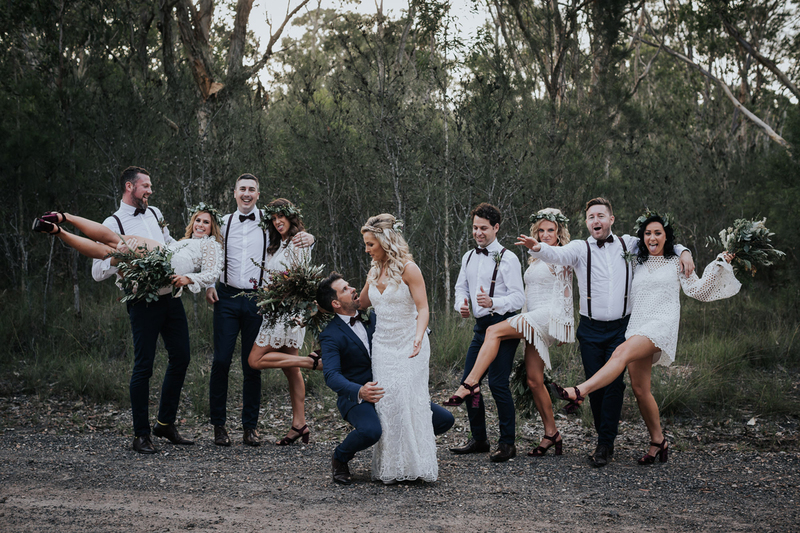 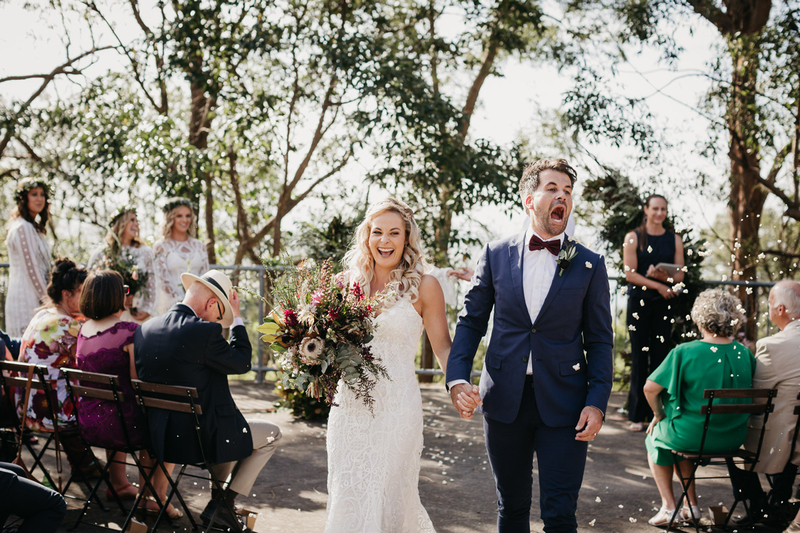 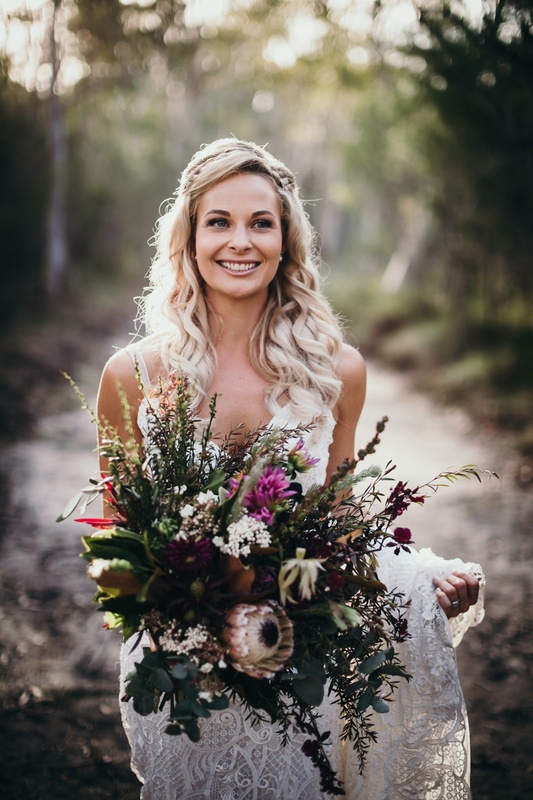 This gorgeous wedding was set in the beautiful Noosa, with their ceremony at The Lookout and then a quaint, cute reception at Verrierdale Hall. 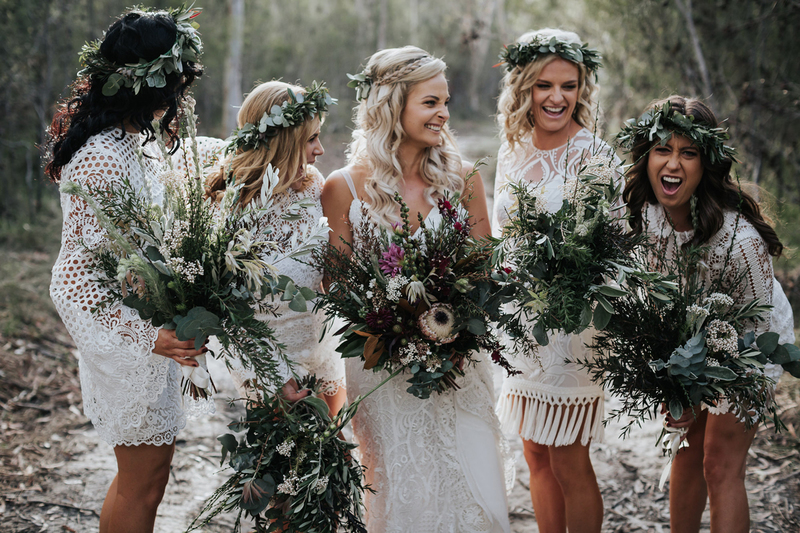 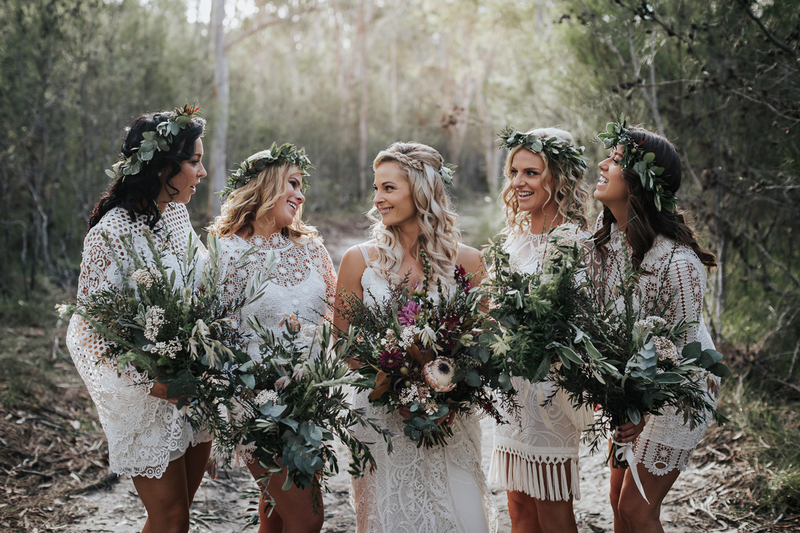 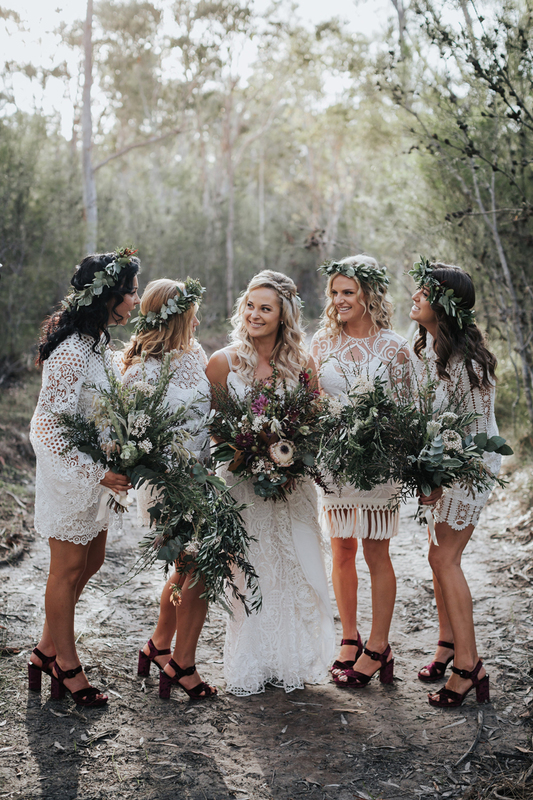 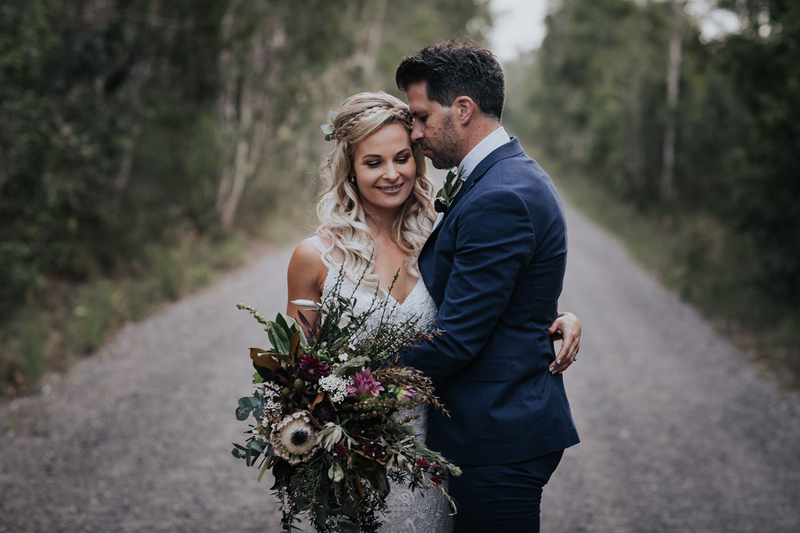 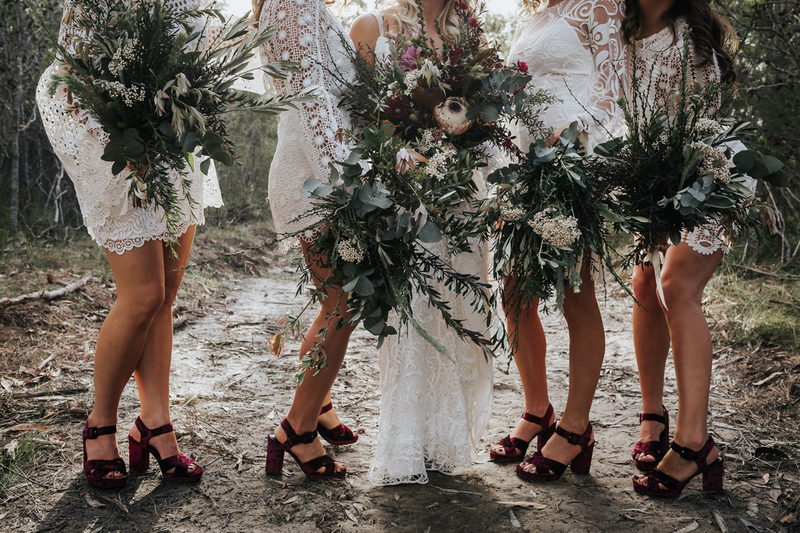 Throughout this wedding I used a strong accent of foliages and native flowers in a subtle, muted palette to draw back to the landscape and stunning hinterland around Noosa and Eumundi. 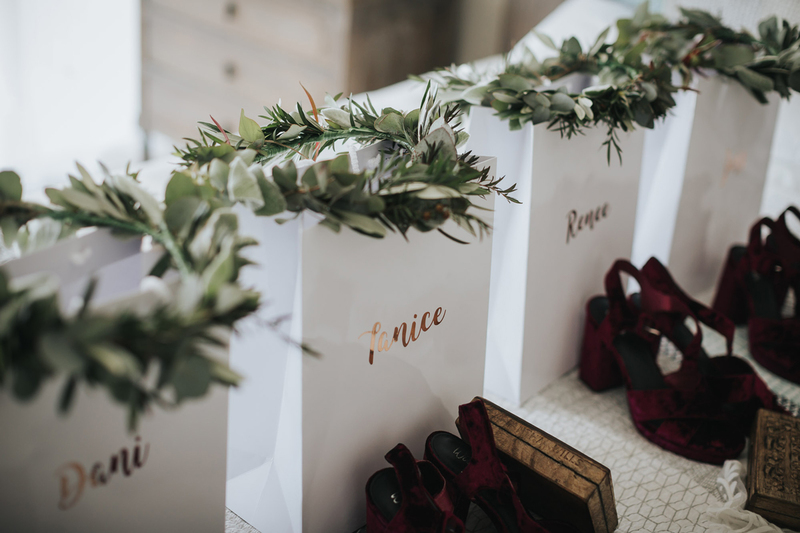 The reception was such a cute style with beanbags and catering from a caravan – very bohemian and fun !